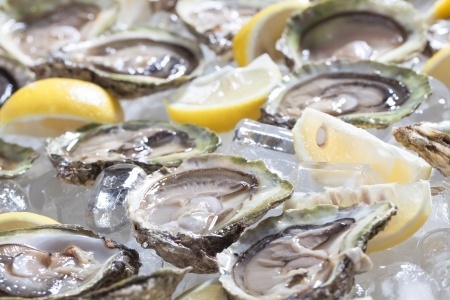 Local Events: Are You Ready for the Annual Stout & Oyster Fest? There are a lot of local events on tap in many St. Louis neighborhoods this spring. One that a lot of people are looking forward to is the Annual Stout & Oyster Fest. It is slated to kickoff the evening of March 27th and run through midnight on March 28th. The event is slated to take place on Locust Street, in the city’s downtown area. The business hosting the shindig is Schlafly Bottleworks and Tap Room. Perhaps you’ve heard of the brewery before? If not, the festival is a great way to dine on freshly shucked oysters and sample a wide variety of stouts with friends. Live entertainment is also expected to be on offer each day. Consequently, you may just find yourself clapping loudly in between mouthfuls. Admission to the event is free but there will be fees assessed when it comes to the libations and fresh seafood. So, plan on bringing your wallet or purse. We should also mention that the festival isn’t all that’s set to take place at the brewery this spring. They frequently host local events throughout the year, including weekly classes on brewing and tasting sessions. As such, you may want to visit the venue more than once. There are a lot of other activities available in the downtown area too. So, it is very easy to spend several enjoyable hours walking around and taking in the sights. For example, you could choose to swing by Ballpark Village. Ballpark Village is a sprawling complex that hosts a variety of events as well. In March, the list includes both a Tyler Farr and New Crime Theatre concert. Plus, there are many opportunities available when sports fans can go to brag about their favorite teams. To learn more about St. Louis’ thriving downtown area and the neighborhoods that are located nearby, please contact us today.